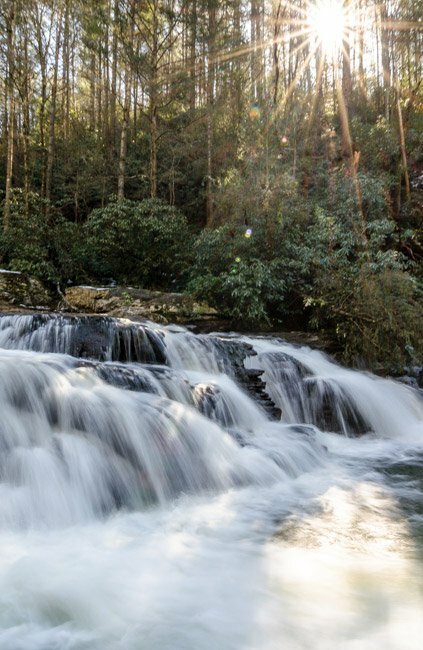 Mountain Rest is the home of beautiful lakes, waterfalls, and rivers. The relaxed and gentle Chauga River is well known by locals for its great fishing holes. Chauga Falls is tucked away just a short distance from town near Blackwell’s Bridge. If you stay on the road, you might never know the falls are there. But you’ll hear them if you leave Whetstone Road and walk just over a half-mile along the river. When you reach “the narrows,” the water becomes faster and more turbulent. The path turns rocky and the river drops 25 feet over a 200-foot run. Below the falls, Class VI whitewater rapids churn for a short distance before they smooth out again in a large pool. When is the Chauga stocked?